So… The Jane Austen lovers have come out in force behind a certain piece of piano music, In-I has opened at the Sydney Opera House – and the score / soundtrack is now online here and Channel 4 are to shortly announce the transmission dates of David Starkey’s new series on Henry VIII – the Mind of a Tyrant. Excitingly.. for me anyway, I found the one Jeff Buckley bootleg recording I’ve been looking for for years. Meanwhile I’ve started to put my albums online. 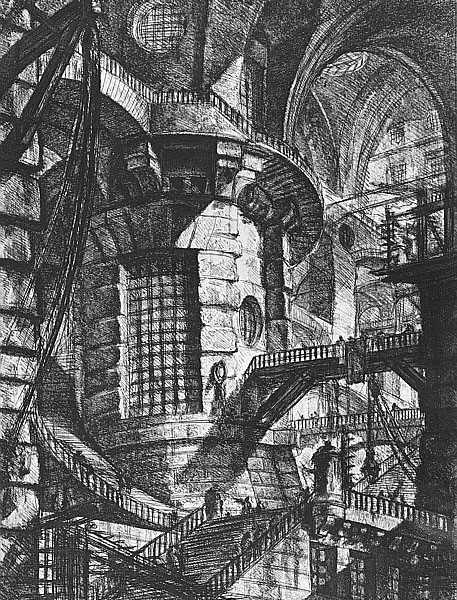 I realised that it was ten years since I recorded The Glass Cathedral, and so I’ve decided to release it as a one tune radio station.. okay, so it’s actually a webpage with a Piranesi engraving and a tune… but, as with the dance scores, i like the idea of people being able to dial it up and listen. A lot of people have paid to see concerts, films, shows – for which I’m really grateful… why should I ask people for more money, and anyway, what’s wrong with giving the odd tune away?